"Everything looked as if it was going according to a scenario." 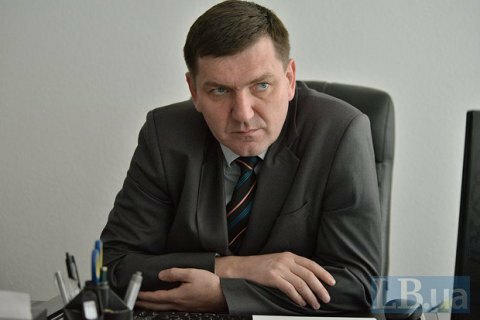 The head of the Special Investigation Department of the Prosecutor-General's Office, Serhiy Horbatyuk, does not rule out that the results of the Conference of Prosecutors, which on April 27 elected members of the prosecution bodies – the Qualification and Disciplinary Commission and the Council of Prosecutors – can be appealed against in court. "We are working on materials to find convincing proof of the violations and submit a complaint to court," he said. Horbatyuk, who participated in the conference in question, also said that he along with two other delegates insisted that the regulations of the event should be approved before proceeding to the agenda. "However, everything went on as if according to somebody's scenario. The agenda was adopted at the onset of the conference without any prior discussion, and the regulations were voted in the very end," said Horbatyuk. On 27 April, the Ukrainian Conference of Prosecutors elected the first members of the new prosecution self-government, the Council of Prosecutors and the Qualification and Disciplinary Commission. The creation of new prosecution bodies is stipulated by the law "On prosecutor's office". Under this law, the Council of Prosecutors will recommend the appointment or dismissal of prosecutors to administrative positions, ensure the independence of prosecutors, ensure social and legal protection of prosecutors, their families etc. The main objectives of the Qualification and Disciplinary Commission will be disciplinary action against prosecutors, primary selection of candidates for positions of prosecutors, and interfacing between different prosecution bodies. On 12 May, however, the Ukrainian parliament adopted the law providing for the suspension of operation of the Qualification and Disciplinary Commission and the Council of Prosecutors until 15 April 2017.